The UPI based Payment system was a long-awaited feature in WhatsApp and it seems it has finally started rolling out. For now, it’s being rolled out slowly and is on an invitation basis. Like I said, the WhatsApp payments feature is rolling out to select users in India right now. First, make sure you are running the latest version of the app. 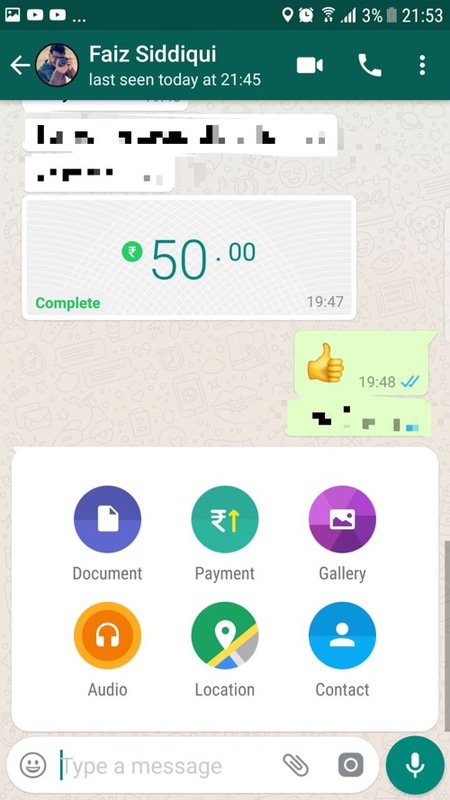 Open any WhatsApp chat and click on the Attachment pin on the right-hand side of the chat, see if you see the new Payment option appears. 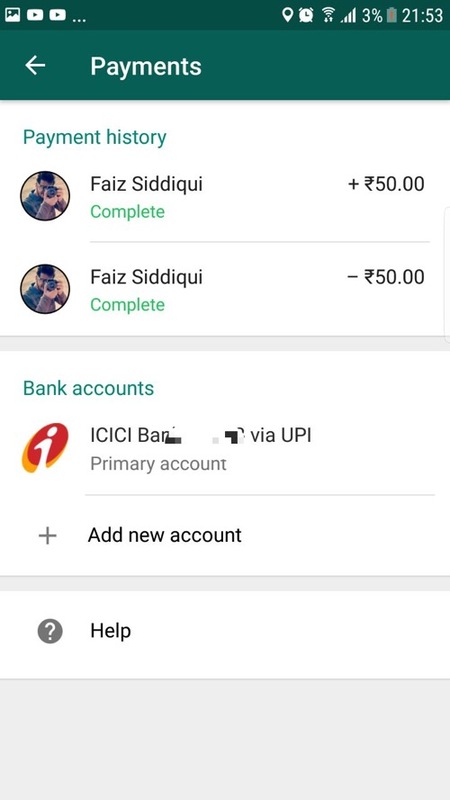 If you do, great, you now have access to WhatsApp’s UPI-based payments feature. If not, you will need someone who has already got the feature. Simply ask them to try to make a payment to you, this will give them a pop-up asking them to tell the recipient to update their WhatsApp version. Once they tap on the popup, the Payment feature will be enabled for you as well. Go to Settings ➜ Payments inside WhatsApp. Tap Accept and Continue if you agree to the terms. You can also add multiple bank accounts to it and designate one of them as the primary account. You can also send money to individual group members in a group chat, provided they have enabled the Payment option. Moreover, you cannot pay money to verified business accounts (such as BookMyShow or MakeMyTrip) because the service is only peer-to-peer (i.e. person to person). Previous articleWhat the Hack is Tor Browser? Should You Even Consider Using It?